Govt.would hardly wake up from deep slumber and may do so when elections draw nearer.I would appreciate that a group/society is formed representing technocrats,academicians,senior citizens,volunteers and develop perspective plans and policies especially for the revival of Horticulture,Agriculture,Drought action plan,action plan for flood prone areas, perspective plan for disaster management,agriculture policy,grazing policy etc.These plans need to be put for public response and subsequently taken up with the Government and addressed by the identified group and the Govt.jointly. Shahtoosh is the finest fibre of animal origin and is known for its delicacy and warmth.Fibres are gossamer in weight,texture and as soft as baby skin and is produced by secondary follicles.Shahtoosh protects Chiru from the freezing cold and harsh winds.The beauty of the shawl, according to Kashmiri legend facinated Moughal Kings and even French emperor Napoleon Bonaparte who brougt one for his wife Josephine.She was so captivated by the gift that she ordered for 400 more.Shahtoosh has a cyclic growth and shedding.The shedding usually occurs between June and July.There are different views about its collection.Shahtoosh traders believe that fibre is procured by collecting the shed fibre which gets entangled with the bushes when these animals pass through and also rub against these shrubs.Another, school of thought is that environmental conservationalists believe that the shahtoosh is collected after killing the animals.One of the ronowned environmentalist George Schaller visited China and Tibet and supported with documentary evidence that Chiru are shot or trapped on Tibetan Plateau in Qinghai and SouthernXinjiang for wool,meat and horns.Horns are used in medicine.The animal is temperamental by nature,constantly alert,difficult to approach and a remarkable runner and has a peculiar habit of resting in shallow pits which they escape out in sand.As regards reproduction,the young ones are born in May-June every year and animal is a seasonal breeder and breeding season is during winter (Dec-Jan) with a gestation period of 6 months.They generally flock in groups of 3-4.The Govt apathy is that there is no systematic census ever carried out and every thing is arbitarily done.Secondly,ban on the Shahtoosh trade does mean nothing and the trade goes on clandestinely.There also does not seem to be any policy in place for their conservation,management and propogation. (GREEN SCAN CONSULTANTS). 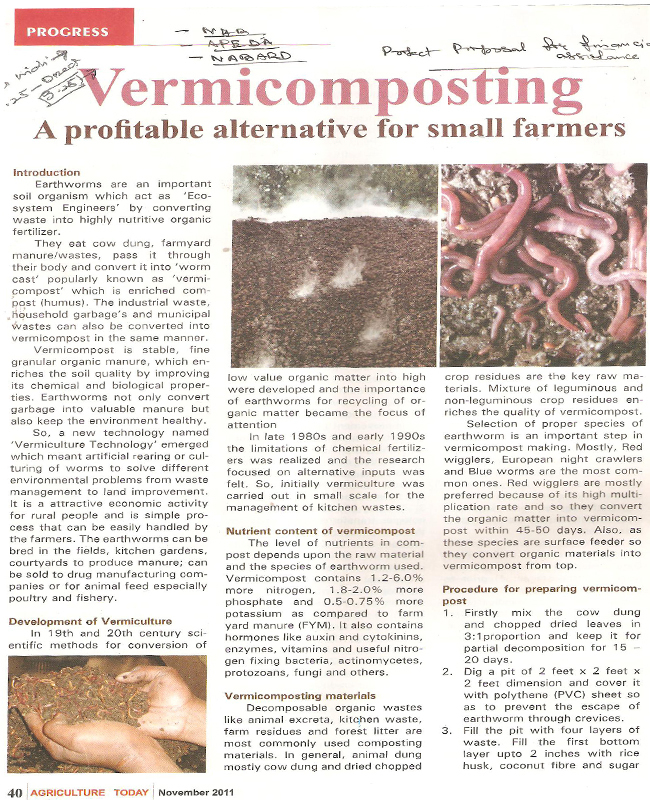 Organic Farming is a sustainable alternative to the indiscriminate usage of spurious agro-chemicals viz.,Fungicides,Pesticides.Herbicides,Acaricides,Growth Regulators/Harmones and Synthetic coloring agents which result in loss in soil fertility and productivity with adverse effect on water quality,soil,plant and human health.Various initiatives have been taken by the Govt. of India to promote and support organic production,setting up of National Centre of Organic Farming.This National programme on organic production encompassing National Standards and accreditation programme for certification agencies etc are basic in this direction.NABARD as an apex institution in the field of agriculture and rural development has identified organic farming as a thrust area and has take various initiatives for its promotion.These include building capacities of bankers,NGO,S,farmers through training programmes,exposure visits etc.,technology development and its dissemination.Therefore,need of the time is to concentrate on identification of zones and crops to be developed under organic farming in a systematic way rather than going in an arbitary maner.New and young orchards to be developed under this policy necessarily.Secondly, development of package of practices by the universities/institutions already designated for the purpose,exclusively for organic farming, together with creation of awareness for the development of bankable models for aiding financial assistance.There is a to develop atleast one representative model in each of the district for showcasing the desired results.There are numerous other schemes but no takers bacause of un-awareness and non-delivery system. 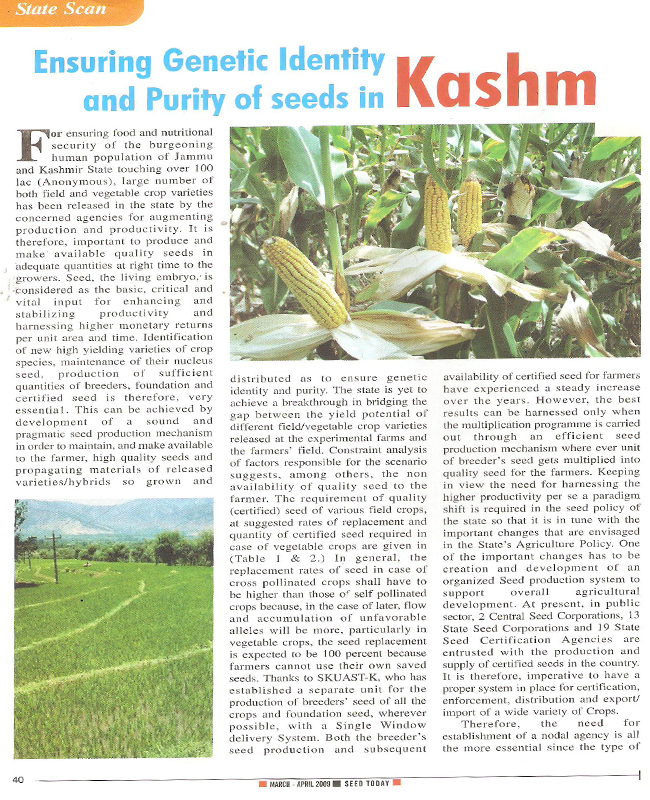 Vast diversity of natural resources in terms of land,water,climate,bio-diversity and excellent agro-ecological niche, makes J&K state suitable for growing more than 40 kinds of vegetables.Inspite of an impressive increase in production and productivity per unit area and time ,the state has been importing vegetables from the neighbouring states to meet the domestic demand.Not with standing the inconsistency in the flow during various months,maximum import is from March-May and month of december.During summer months June-Sept,relatively less quantity of vegetables are being imported.The inflow of vegetables during July-august is almost negligible.During these two months,valley temperate zone,cold arid zone and some areas of intermediate zone produce surplus vegetables.However, these areas are deficit in vegetables in winter and early spring, which accounts for higher inflow during this period.More so,things become more comlpicated as the link road between Kashmir and rest of the country gets closed due to inclement weather, thereby,increase in vegetable prices besides,,quality suffers due to spoilage in transit.So the initiative has to be taken to resort back to kitchen gardening as almost every house hold has some backyard area available.Besides, with the availability of hybrids,it is possible to cultivate vegetables in pots and would serve the dual purpose of beautification as well as fresh vegetables.The much suited potted vegetables include tomatoes,brinjals,capsicum and okra. Have been appointed and also taken over as Regional Coordinator EduHeal Foundation (New Delhi).EduHeal Foundation conducts 8 Olmpaids annually:International olympiads in English,Cyber,General Knowledge and National Olympaids in Interactive Science,Math,Finance,Biotechnology and reach out to 4000 schools,4 million students,50000 coordinating teachers and are having 500 Resource persons.Regional Coordinator has to maintain relationship with Educationists/Outstanding teachers,awareness about these Olympiads, provide a platform to effectively portray the the needs and views of schools and to concerned authorities in Delhi/State Capital,Corporate and to the public at large.This platform will act as a catalyst to improve understanding of learning by sharing know-how and good practices among schools at the national and international level.Another important assignment of the coordinator is to organise and participate in EHF International/National events in schools and junior colleges and to facilitate outstanding principals/teachers and students and also invite eminent educationists to join EHF.Excellent opportunity to interact with the best educationists nationally and worldwide, besides contribute in nation building.Shortlisted school winners will get an opportunity to perform at the National/International levels and win lucurative prizes like Laptop+Gold Medel; Camera+Silver Medel;Mobie+Bronze Medel and other awards and certificates.Any body is welcome to join and contribute. There has been for quite some time as hither to fore,huge hue and cry about mutton production,consumption,shortage,import from other states,monopoly of Kothdars,dictates of mutton retailers,quality and uncontrolled price regime etc etc.There is a need to understand its dynamics as to why this has been a perpetual problem especially in this part of the region in particular.Livestock industry could be as good an enterprise as that of fruit and floriculture industry even more.We have been importing mutton from times immemorial as the state has been,is,and would continue to depend on imports as otherwise, the state of Jammu & Kashmir has a tremendous potentialfor livestock industry, particularly sheep & Goat, because of abundant natural resouces especially meadows located in Alpine and Sub-alpine zones.The state further, enjoys the adventage of its salubrious climate and the availability of nutritious grass & legume species.Un-fortunately,entire Himalayan region has been ruthlessly devastated due to un-controlled and indiscriminate grazing,over stocking beyond their carrying capacity,proliferation of noxious and piosonous weeds like Stipa,Viburnum,Sambucus etc.The greatest apathy is thatthere are dozens of organisations engaged in development oft pasture resources and forage production, like Agriculture,forest, Soil Conservation,Command Area,DPAP,IWDP,besides there are scores of Centrally sponsored schemes already in operation in the state.These organisations have been spending hundreds of crores with out any positive impact and out come.There is a need for introspectin.WAY FORWARD. 1.Creation of a Pasture and Forage Development Board,charged with the responsibility of planning,formulation,execution and monitoring of all the activities.2. All the Departments along with the man power resources and budgetary provisions brought under one umbrella 3. Demarcation of all the nomadic routes together with their vegetal status which are nearly 32 in number,but now because of the overlapping of many routes have been reduced to just seven only.4. Involvement of actual users in the rehabilitation process of these routes for weed eradication and seeding operations and paid on the MGNREGA pattern.5. There were many forest areas viz Kangwattan,Methwani,Aroo,Thajwas,Gulmarg(Dhobi Ghat) leased out to Agriculture Department for raising of grass & legume seeds and their possession as on date is just on the papers onlyThese areas can be developed for sheep rearing and can easily produce 50000-100000 sheep annually.Since pasture and forage resouces already exist in these areas which otherwise. 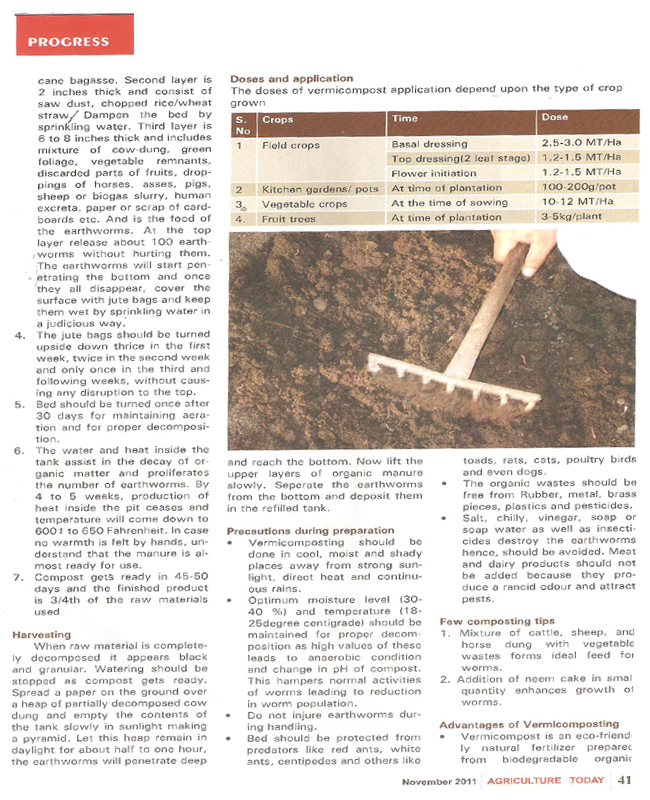 is a great impediment in the development of livestock industry. The Jammu and kashmir State is known for export of fruits and nuts,vegetables and seeds ,medicinal and aromatic herbs,honey,mushroom and morels,saffron,condiments including black zeera,silk and garments,woolens(rafals,pashmina, and shahtoos till recently),carpets(woolen and silken),namdas,gabas,fur garments,wood carving and wood crafts,khatamband ceiling,paper mache,wicker work,sports goods,joinery items etc.Kashmir is known for embroidery on silk,wool and evencotton garments,curtains and furnishings. All these materials and products are derived from biomass,much of which is from the rich biodiversity available in the state.Thus Kashmirs trade and economydepends almost exclusively on biological raw material.The state serves as an excellent museum of all sorts and the relationship is clear from the extent and nature of dependence of people of the state on BIOMASS.Hydro-energythat has a great potential in a state like J&K,would not only meet out its own energy requirements,but would supply to the rest of the country.If all these resources are maintained and managed in a scientific and planned manner,we could not be far behind those countries who are rich in natural gas and petroleum. 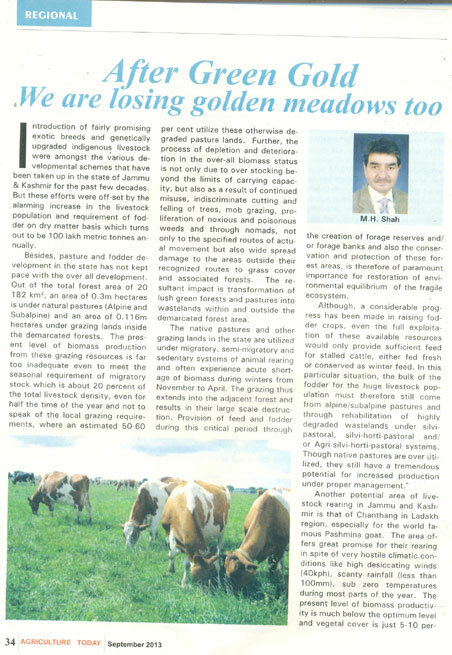 tourism ,which is also biomass related and biomass dependent,snow capped lofty mountains,fresh and clean air,crystal clear water,forest flora,beautiful meadows with magnificent flowers.This character of the state of Jammu and kashmir needs not only to be maintained but also augmented.Therefore,highest priority has to be given to the intensification and diversification of biomass production,processing and utilization.such a strategy would help in both conservation and utilization. 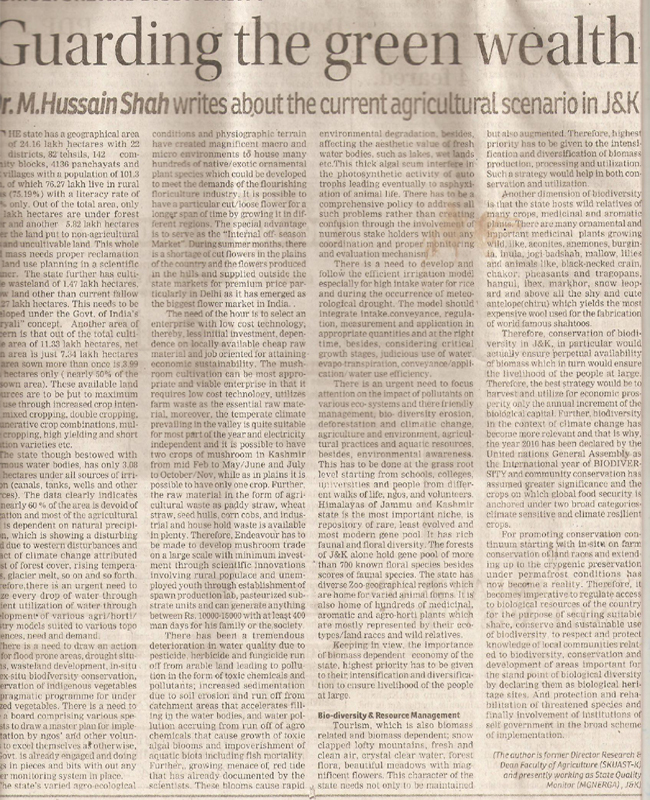 Dr. M.Hussain Shah, President Green Scan Consultants (Society), having varied experience in Agriculture and allied sectors, talks about the activities of the society and commitment to accelerate the pace of development through enhancement of agriculture production and productivity per unit area and time in the far flung and different to reach areas for the people solely dependent on farming and livestock rearing and also to provide skill development trainings to un-employed rural youth and awareness about the schemes funded by State and Central Govt, their implementation and monitoring as a social responsibility. Q. Let us know about your organization. Green Scan Consultants (Society) –a no office of profit, voluntary, non-religious, non-government organization, registered under the society Registration Act of 1998 (1914 AD), vide No. 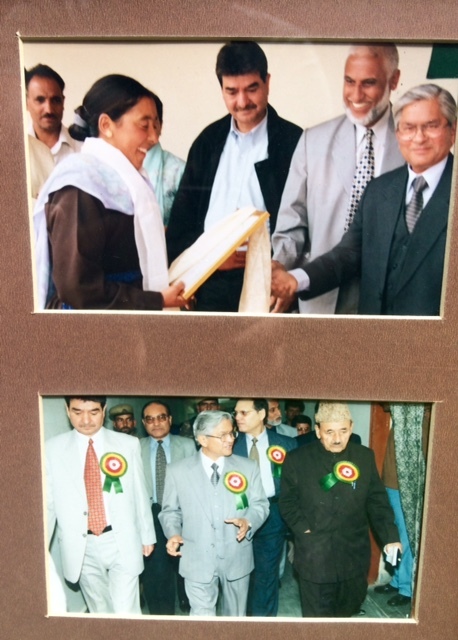 5799-S of 2009 dated 14.09.2009 (J&K Govt) and affiliated to NGO-partnership system (National Portal of India-JK/2010/0030932); Indian Chamber of non-government organization (ICNGO-No:033); Guide star India (GSN-2112); VELMOC; Karmayog etc. The team comprises retired Technocrats, Academicians; professionals from various specialized areas of Agriculture, Horticulture, Veterinary,. Finance, volunteers, Administrators, Deans, Directors and social workers. Q. How your organization would help the Rural youth to actively engage themselves in various pursuits? As you already know that exact statistics is not available about the unemployed youth and various figures are being put forth (05-07 lakh) and governments commitment to fill just 70,000 vacancies which is just 10% of the total. By the time the total un-employment problem is tackled, the number must have further, swelled up many fold, thus the problem of un-employment would be perpetual and a continues process. We must also understand, that it is not possible for any Government to absorb all the un-employed youth in Govt, jobs. Therefore, youth should come forward and prepare themselves for competitive examinations and that needs lot of hard work and dedication and select a profession of their own choice. Second and only option is to voluntarily carve out a profession for themselves on their own which would give them an hournable living, stand on their own and become job providers rather than job seekers. 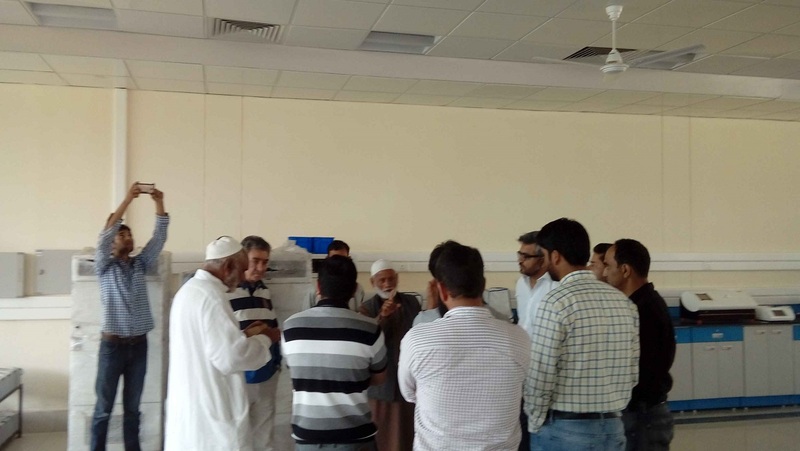 The organization has formulated a mega project on job orinated technology skill development centre covering all the districts in Kashmir region in a phased manner. Q. 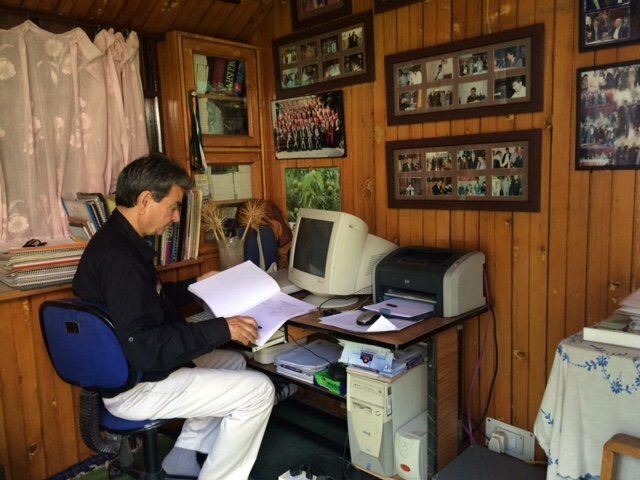 How have you conceptualized the skill development centre and what are the promising area? The skill development centre should be developed in a holistic manner covering the entire district and christened as “Bio centre” and basic approach to development has to be human centric and even in the design phase, the long term sustainability of the programme and its potential for self replication has to be taken into consideration. To be sustainable, micro enterprises introduced with the help of assistance in the form of micro credit, need appropriate services including training, knowledge and skill empowerment. 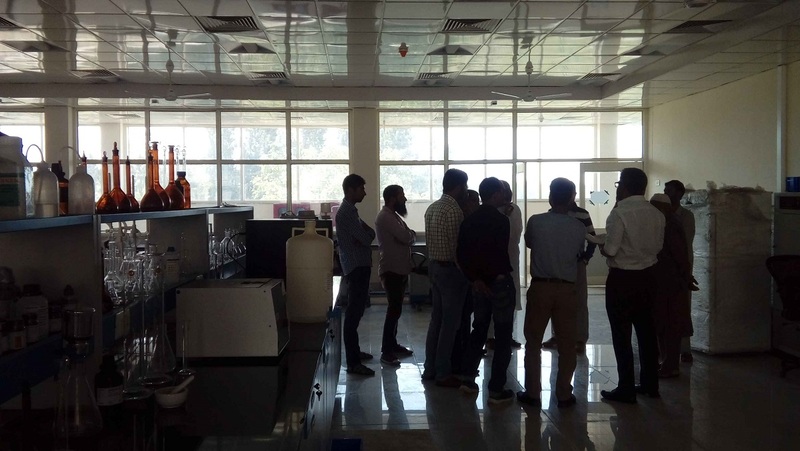 The Bio-centre” has to be run by the “Bio-village society” and facilities for training and dissemination of demand driven and local specific information. The whole exercise is aimed at creating source of income for the un-employed rural youth in particular, who are with drawing themselves from the forming section in search of urbanized glamour. Q. What are the specific areas where the society feels can salvage this grave problem of un-employment? Before, embarking upon any one of the ventures, we have to ensure that the project has to be economically viable, environmentally sustainable, socially equitable, energy efficient and employment generating. 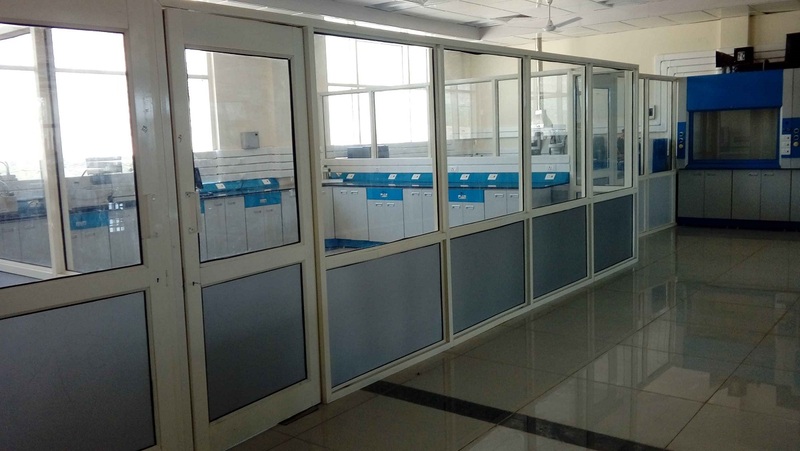 The society proposes to focus on following enterprises and their size and value will vary with the production capacity, location, type of raw material, demand etc. 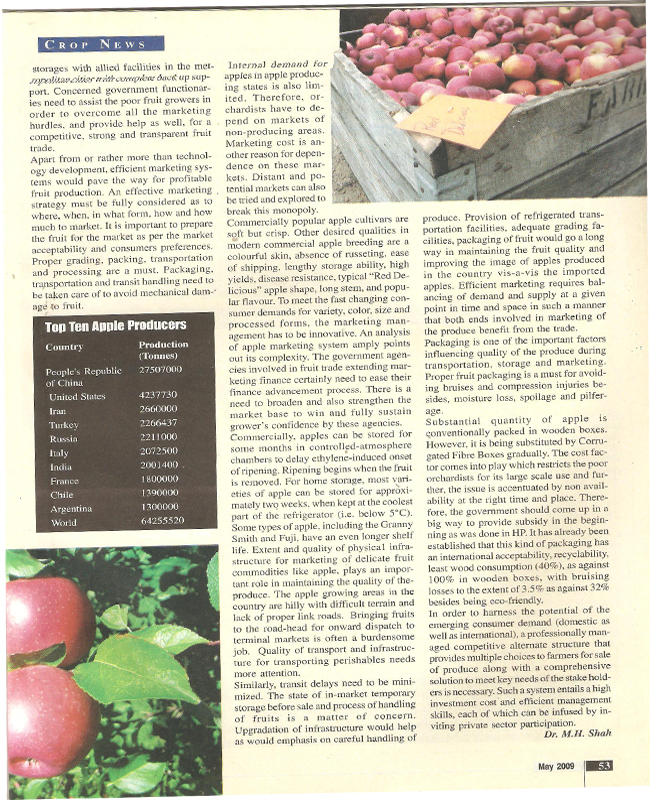 Commercial Floriculture; commercial scale production of Mushroom, spawn and sub-strate (compost); honey production and processing; soil and water quality testing; vegetable seed production and un-utilized vegetables; post Harvest management and packaging of cut flowers; composting of agricultural and industrial waste through microbes and earthworms (vermin composting); poultry as a commercial venture; aqua culture-a promising enterprise; sericulture including cocoon rearing and propagation of mulberry plants; kitchen gardening and cultivation techniques for under utilized vegetables; wasteland development; rain water harvesting; organic farming; commercial nursery raising and management orchard management (A to Z); feed formulation and feed manufacturing small Ruminant Rears; fabrication of Agri equipment; ornamental fish culture; spices, condiments processing technology; drying and dehydration. Q. How the role of NGO’s would be different from that of Govt.? NGO’s supplement the efforts made by the Government. Local NGO’s reach the grass root land and not only provide to necessary guidance for the development of a model but associates with them very actively. The Govt, has lot of obligations and formalities but now that there is a separate provisions for the recognize and reputed NGO’s and their urge to reach out to the weaker section of the society. There are definitely to vary vital issues involved which are supplementary and complementary to each other. The first thing is that society has to be selfless, voluntary and non-discriminating; whereas the Govt needs to involve more and more NGO;s in there developmental programmes so that the thing are visible and competition amongst the government functionaries and that of the society is easily to noticeable. Q. Noticeable achievements of your organization. 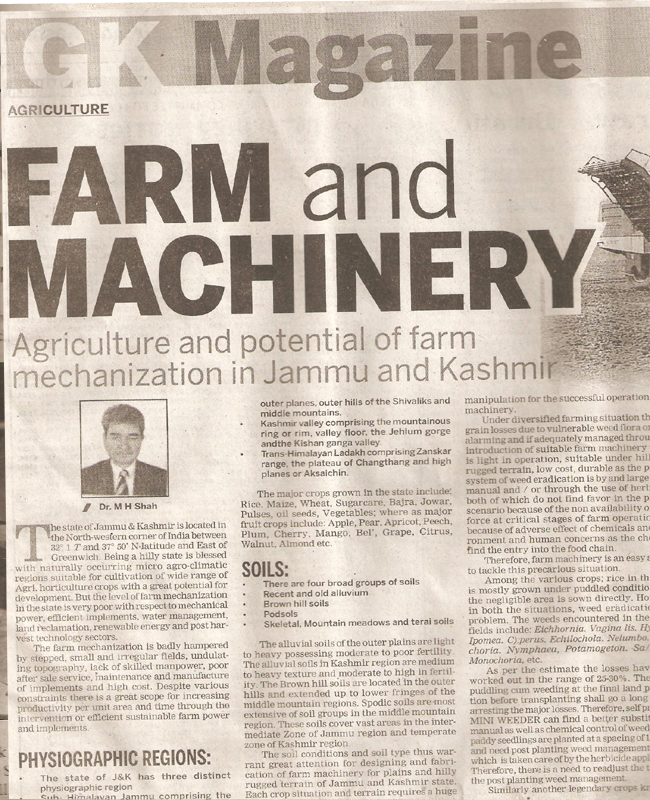 The society has relentlessly try to reach out to the farming communities in the districts, Budgam, Ganderable, Bandipora (Guruz), Matchil and Tengdar and successfully demonstrated the use of farm machinery in order to fasten the agriculture production and address to the women drudgery who usually work in their fields and all operations are by and large manual. The farmers have also been briefed as to how they could save their save their own seed which would not only be true to type and resistant to various pest and diseases. 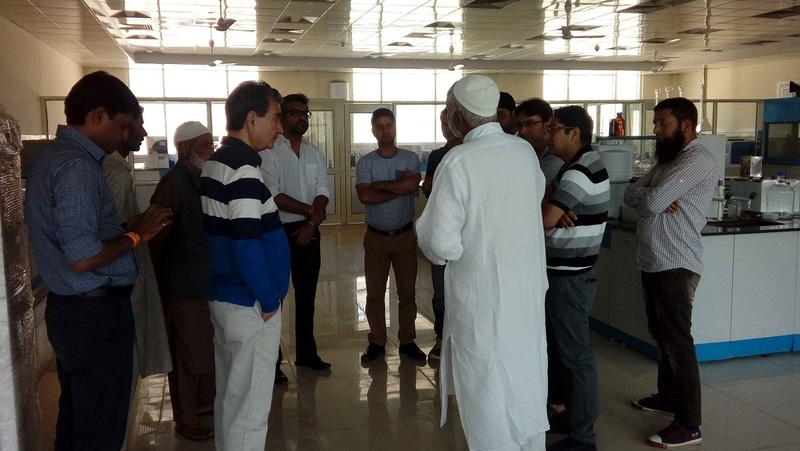 Awareness has also been generated about the orchard management; management of paddy nurseries; organic farming and revival of kitchen gardening system. 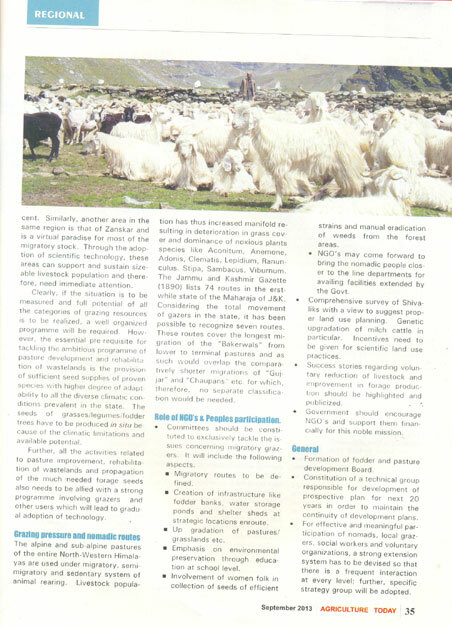 The society actively participated in Agri Mega Mela held in Gurez. The members of the society interacted with the local farmers and apprised them about the potential of the area and creating awareness regarding collection, conservation and multiplication of kala zera on commercial scale; off season cultivation of green pea; off season cultivation of cherry (August); commercial cultivation of seed potato; commercial exploitation of poultry and sheep for domestic needs. i. Screening of NGO’s who have proven integrity together with the composition of the Organization. ii. Involvement of the NGO’s in the process of the monitoring and evaluation of centrally sponsored programmes. iii. 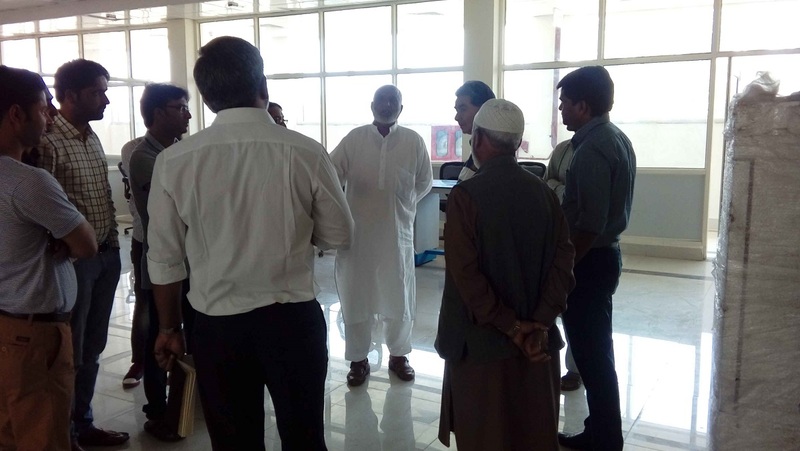 Development of Models by the societies in the areas of water shed, waste land development, organic farming, vermi compositing, aqua-culture, development of nurseries and skilled development centre. 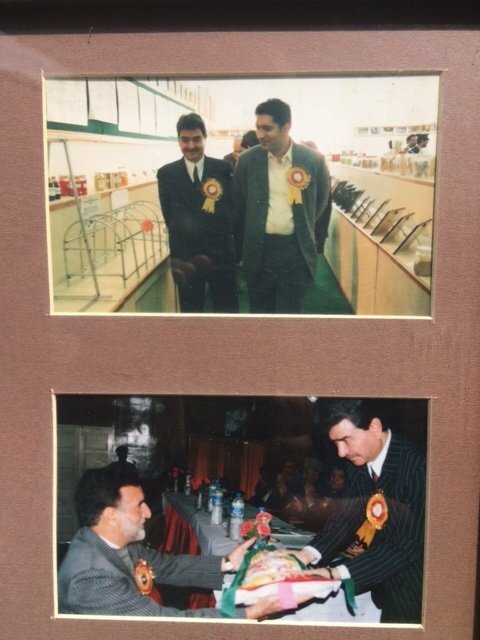 Technology Mission for Horticulture was extended to J&K State during 2003-04.Mission addressed each segment of Horticulture development covering production and productivity,improvement,post harvest management, marketing and processing through 04 mini missions. 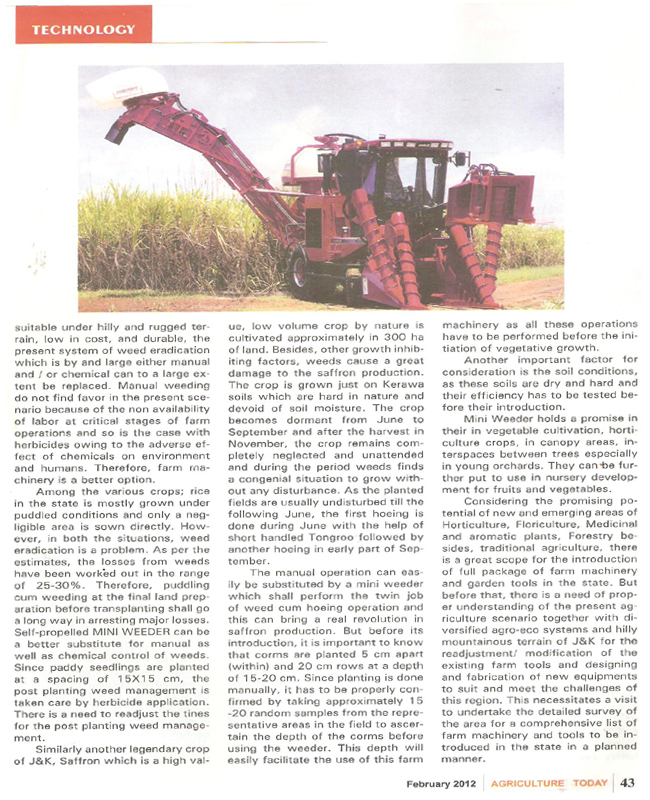 The mission aims at holistic development of all horticulture crops. 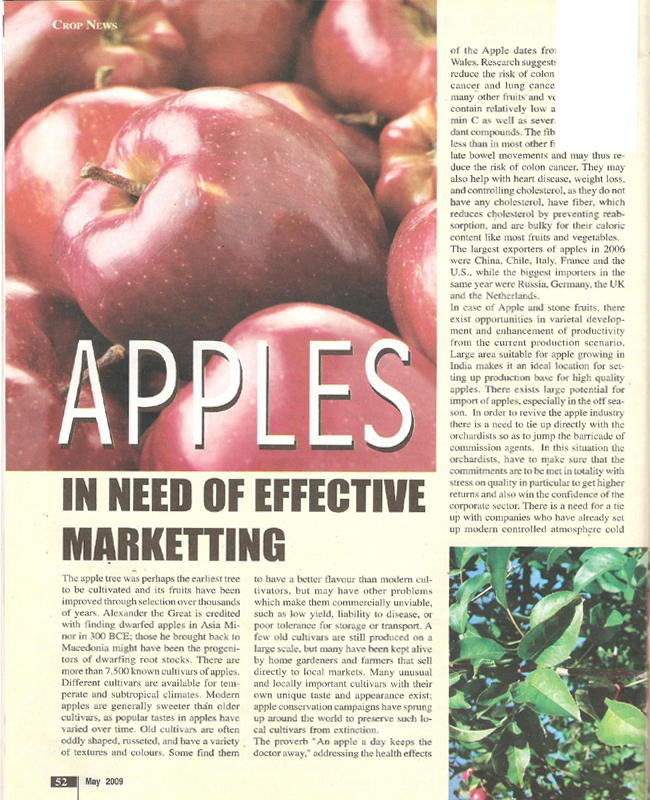 The mission offered rejuvenation of senile orchards, raising of high quality planting material, drip and sprinkle system of irrigation, establishment of small/medium/mega nurseries, farm mechanization, processing and post harvest assistance, establishment of cold storages, modified and controlled atmospheric storages etc. But unfortunately, there should have been a continued effort on the part of the Govt. 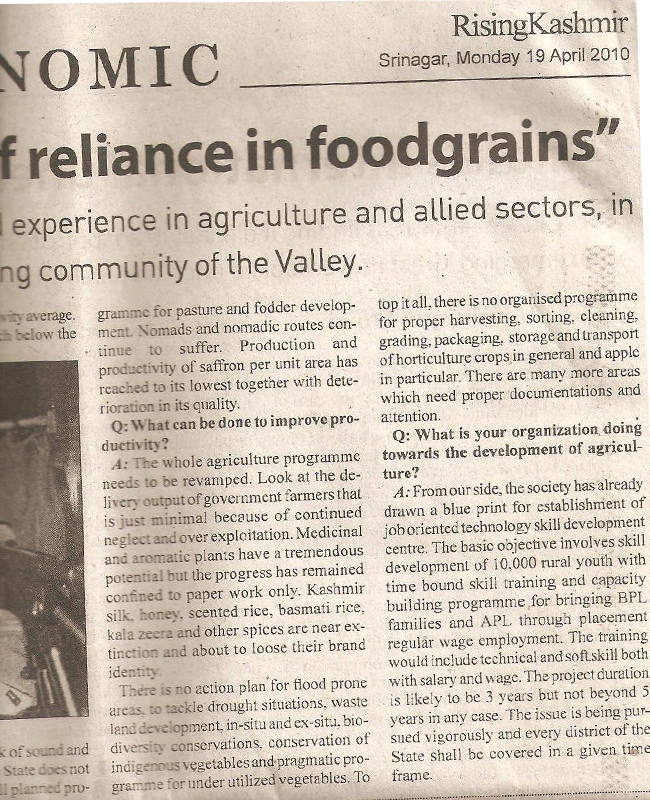 to make farmers and growers aware about these opportunities but instead most of these programmes are beyond the reach of actual beneficiaries either because of their unawareness or partly because of the procedural formalities to be completed at the level of the farmers. With this view, Green Scan Consultants (Society) organized 03 awareness camps about the Horticulture Technology Mission interventions at Ganderbal,Badgam and Pulwama districts between Ist to 10 the September,2012. Atleast, 70-100 farm families in each district actively participated and appreciated the efforts of the society. The also stressed for a full scale seminar for their awareness about these programmes. 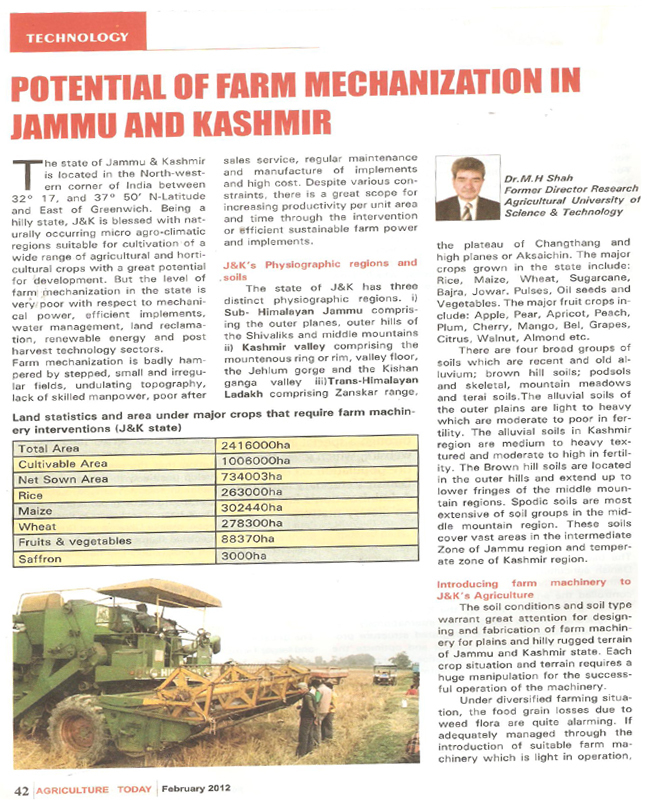 There are scores of Centrally sponsored schemes like Horticulture Technology Mission; National Saffron Mission; National Mission on Micro Irrigation; National Mission on promotion of Medicinal plants etc etc are in operation in Jammu & Kashmir State providing wide range of assistance for optimizing production and productivity per unit area and time. People by and large are ignorant about the possible benefits and opportunities of these schemes and with the result the advantages are harnessed by few opportunists and/or a few selected ones who find favour at one level or the other. 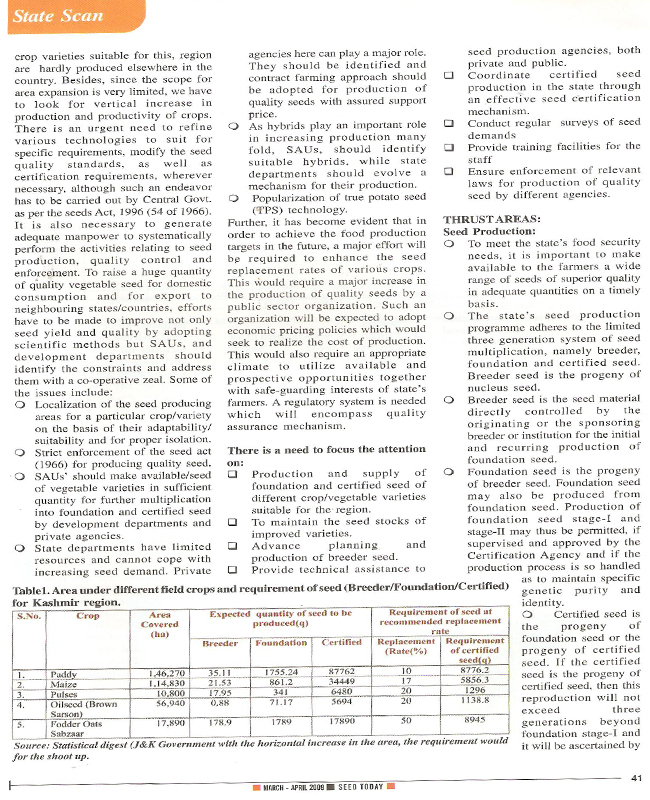 Green Scan Consultants (Society) , thought to create an awareness regarding the possible opportunities being offered through the operation of these schemes which offer assistance ranging from 50-100% covering areas like nursery establishment for raising horticultural and medicinal plants through the establishment of small to mega nurseries depending upon the availability of land, optimization of production, productivity and area expansion in saffron. 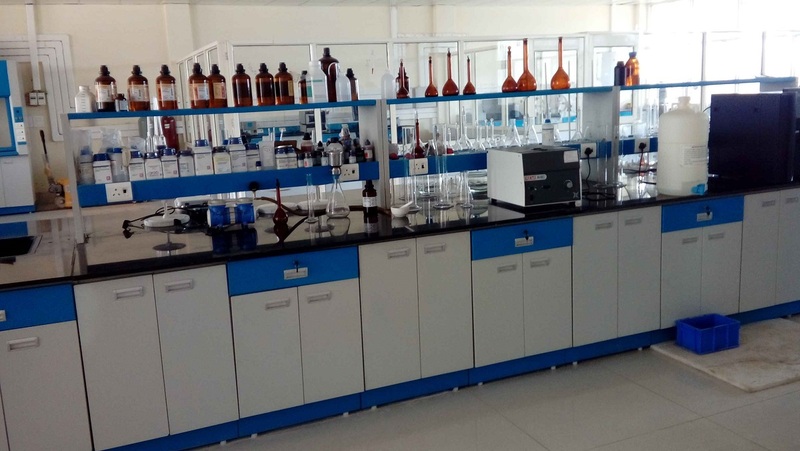 National Mission on Saffron provides all these opportunities and GSC (Society) organized quite a few events in all the districts viz., Badgam; Pulwama; Srinagar and Doda, where saffron production is practiced. A team of resource personals constituted by the society organized these events right in the farmers field and conversed with them the possible reasons for reduction in the area under saffron (31%); production (47%) and productivity (23%) as per economic survey(2011-12). 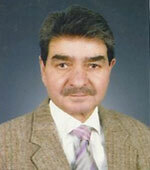 Concerned over the slow growth and declining trends, Govt. of India has approved a flagship Programme for revival of saffron through” National Saffron Mission” with an outlay of Rs. 371.81 crore wherein Rs.286.06 crore is the central share and Rs.85.12 crore as farmers share and project to be completed within 04 years (2010-14). 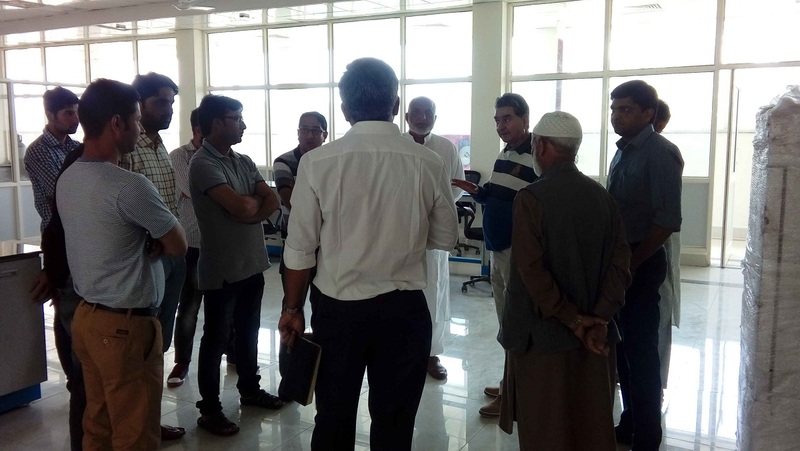 The farmers were made aware about the various provisions under the mission that would include drip/sprinkle irrigation, mechanization, processing, rejuvenation, vermi composting as well as marketing. 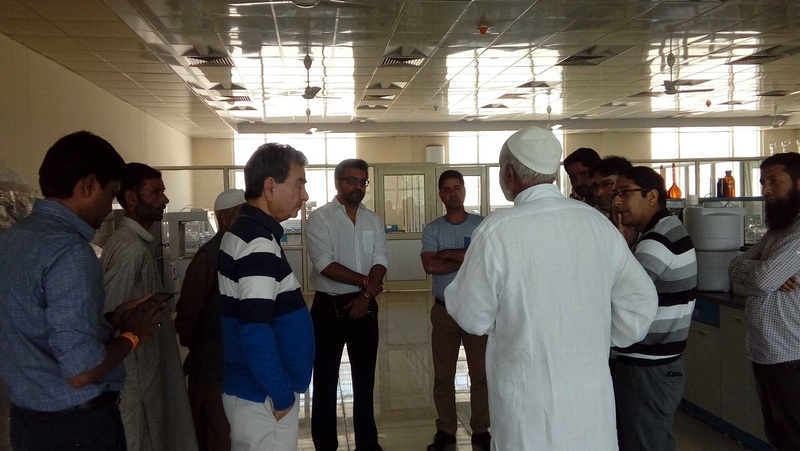 The growers were also briefed about the procedures for availing these facilities. 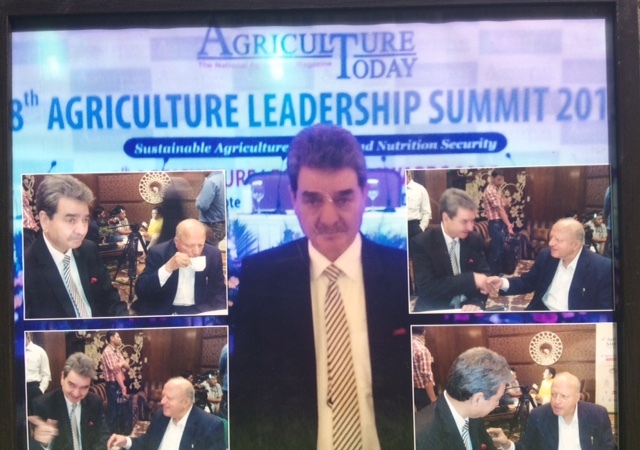 The programme and the event was a great success. 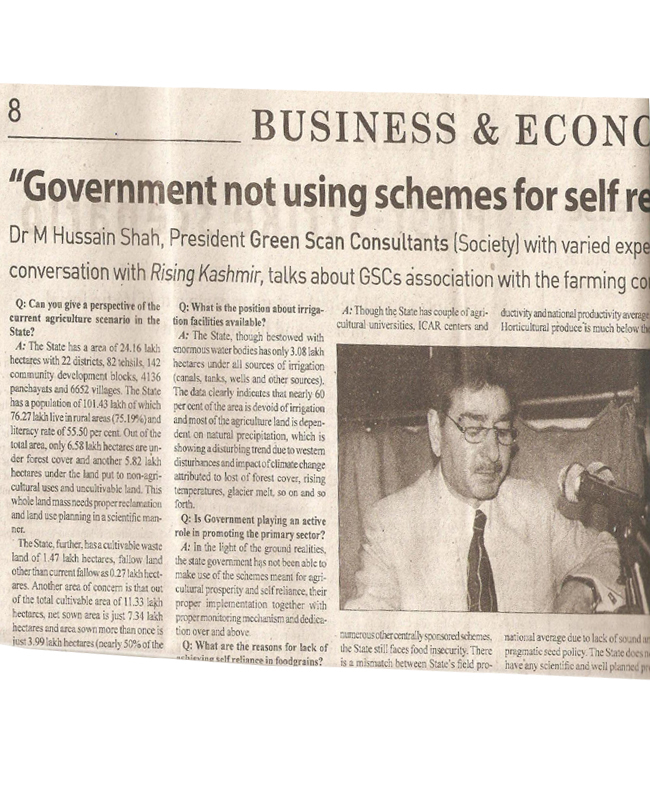 Green Scan Consultants (Society) in collaboration with ICNGO, New Delhi is organising a meet of all the registered NGO's at Srinagar on 5th of May, 2010 to bring efficiency in the working of the NGO's and discuss various problems faced by the NGO's and also about the new programmes being launched in the country.